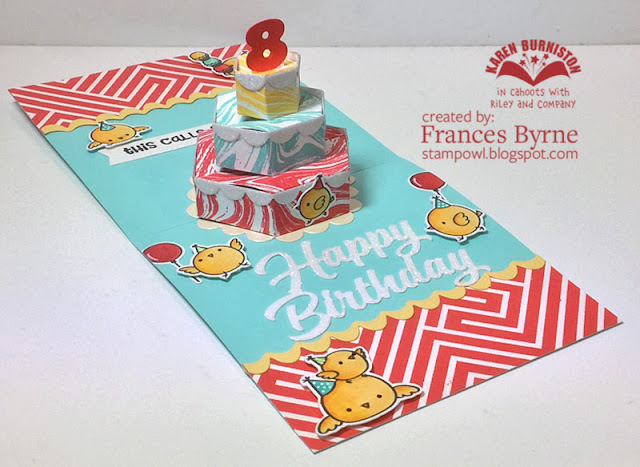 Welcome to our March Karen Burniston Designer Challenge. 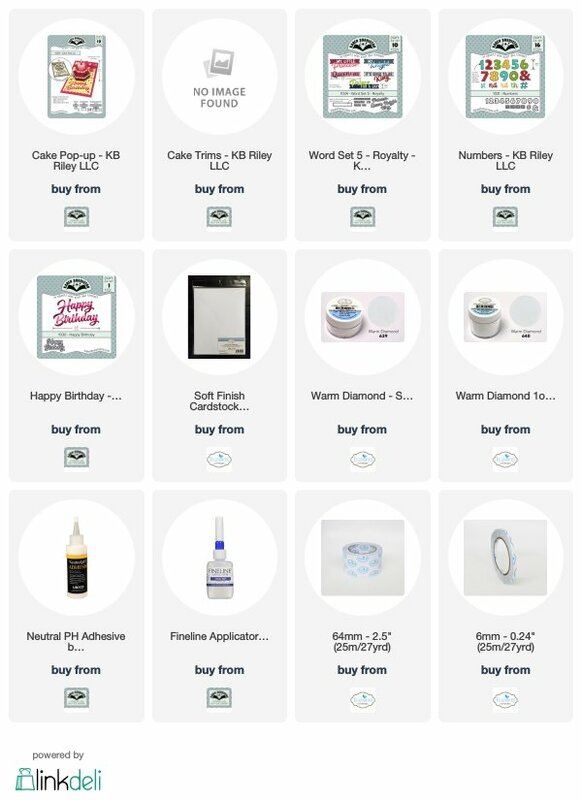 "COFFEE & CAKE" - use either the Coffee Cup Pop-up OR the Cake Pop-up for your project. As you can see by the card above I decided to use the Cake Pop-up Card die set for my card today to make a birthday card. 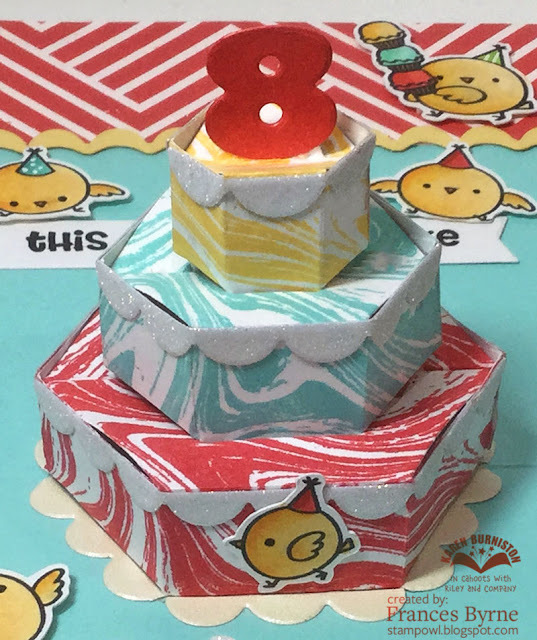 For the layered birthday cake I used the MFT Stamps Marble Background stamp to stamp white card using red, blue and yellow inks and then die cut the relevant tier of the cake from this decorated cardstock. 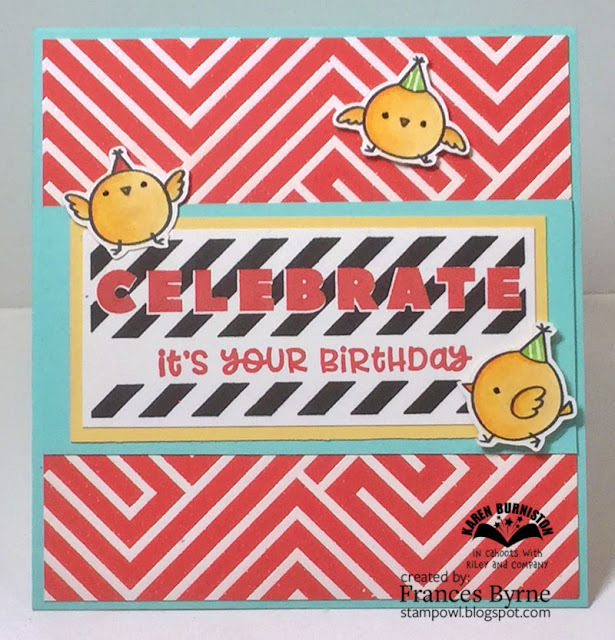 To decorate the card I stamped MFT Stamps Diagonal Design Background onto white cardstock using VersaMark ink and embossed this using white embossing powder. I then applied Candied Apple Distress Oxide ink all over the the embossed cardstock. I used this for the two end pieces of the card and also for the front of the card. I also used MFT Stamps Birthday Chick stamp set for the images on the card. 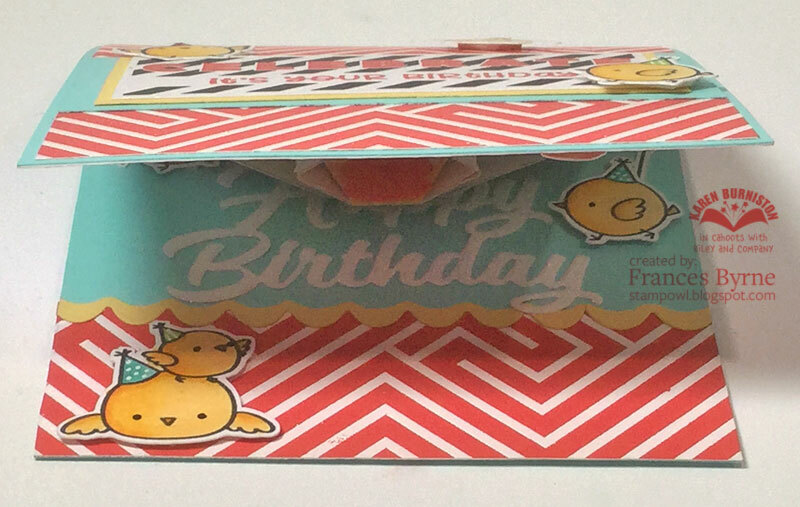 Here is an overhead shot of the card so you can see the whole inside of the card at one time. 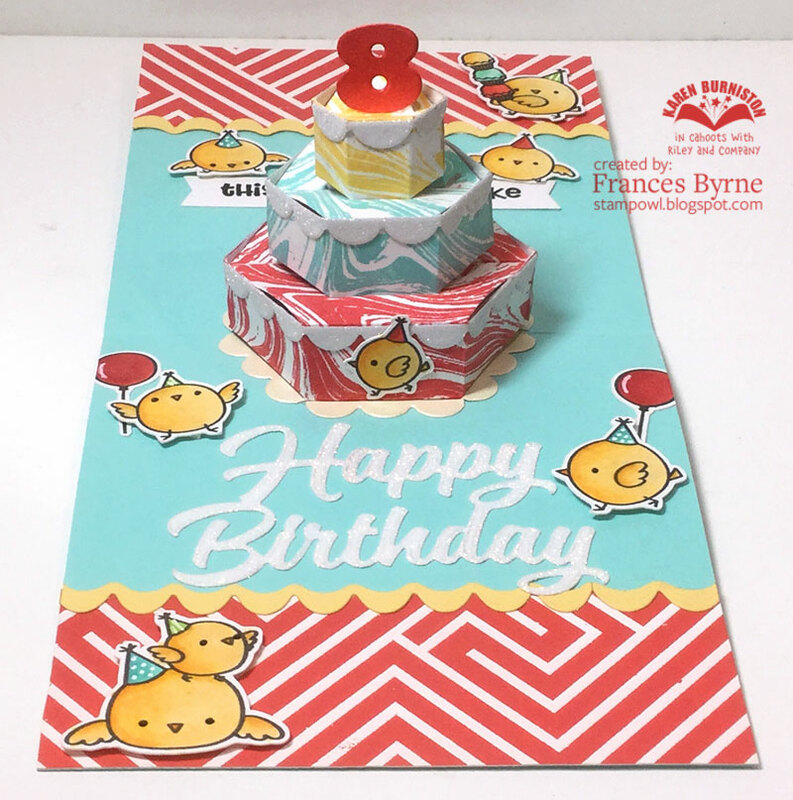 I used Karen Burniston's Happy Birthday die set for the large birthday sentiment. This was die cut using white cardstock that had Clear Double Sided Adhesive Tape on the front and then covered with Warm Diamond Silk Microfine Glitter. 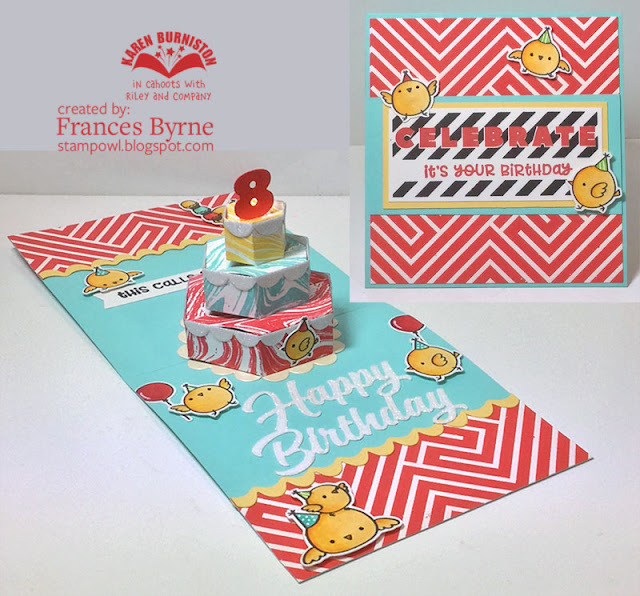 The yellow border along the red patterned edges are from the Cake Trim die set. 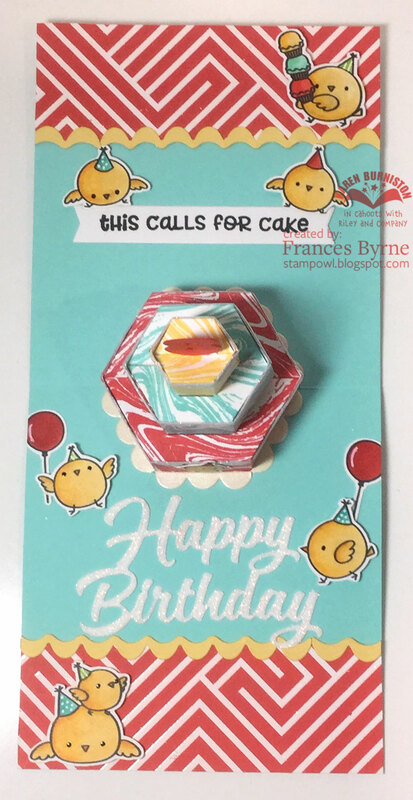 The sentiment towards the back of the card is from a Reverse Confetti stamp set and then die cut using the fishtail banner from the Royalty Words die set. Here is a look at the card as it is closing. For the front of the card I repeated a few of the elements from the inside of the card. So fun - love those birds and your happy colour combo. Rebus - Names Starting with "M"